One of the many challenges I faced over the past couple weeks is has been ensuring I don’t get my right arm wet. At first, I tried to wrap my arm in plastic bags while taking a shower, but that was just frustrating. Then, a few days ago, I decided to try a bath. I could simply prop my arm on the side of the tub, and the solution worked well. Maybe it was because the hospital staff specifically talked about keeping my arm dry while in the shower. Maybe it’s because I couldn’t remember the last time I’d even taken a bath. Or maybe it’s because I’ve been programmed to believe that baths are a luxury that require time I couldn’t afford. Or so I thought. Because there is nothing like a soak in a tub to ease both body and mind. 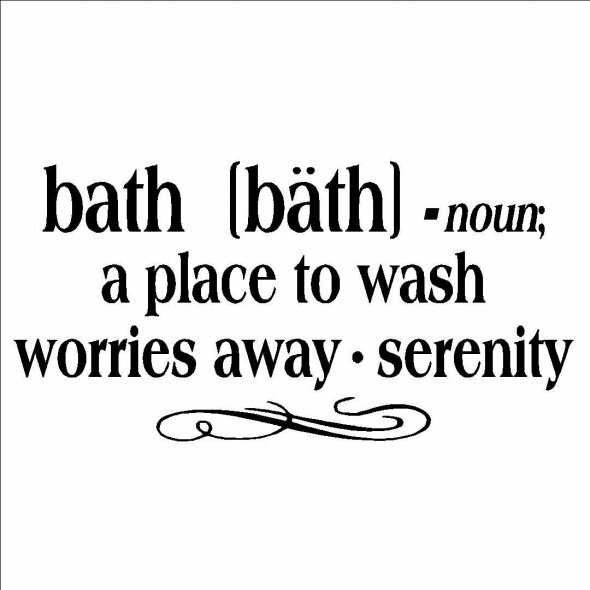 Simply put, soaking in a bath is time well spent, and that always makes me smile. Posted on January 2, 2014, in Family, My life, perspective and tagged 365 reasons to smile, baths, life, musings, optimism, perspective, smiles, time. Bookmark the permalink. 20 Comments.